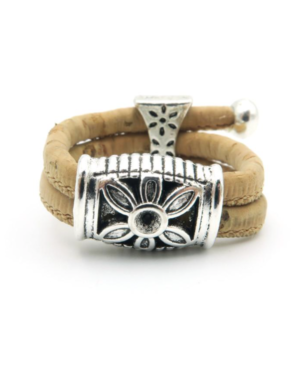 This Flower Power Natural Cork Ring features two pieces of natural cork that thread through the pretty, floral designed antique silver plated embellishment of this fabulous and unusual ring. It’s lightweight to wear and adjustable which adds to its versatility. 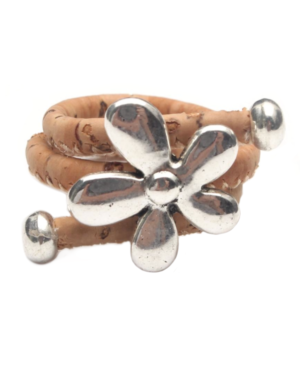 This Flower Themed Natural Cork Ring is stylish, unusual and fun. Its size is adjustable which means it can be worn on any ring finger alongside other jewellery and will suit a variety of hand sizes. 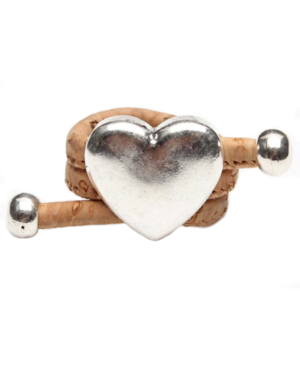 This Heart Natural Cork Ring has a lovely silver coloured heart embellishment as its centrepiece. The effect is simple, stylish and unusual. The cork strands thread through the heart and the whole thing is adjustable which adds to its charm and versatility – meaning it can be worn on any ring finger and will suit a variety of hand sizes. 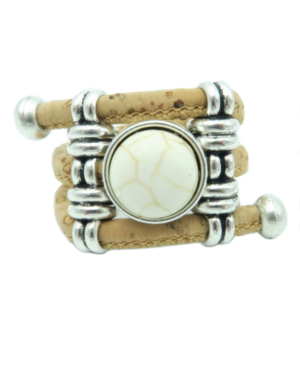 This Natural Cork Ring with Neutral Stone is a striking statement piece. The triple strands of natural cork give it slightly chunky dimension, yet it’s incredibly lightweight and comfortable to wear. The neutural stone at the centre tones beautifully with the cork and silver coloured embellishments to complete the stylish look. 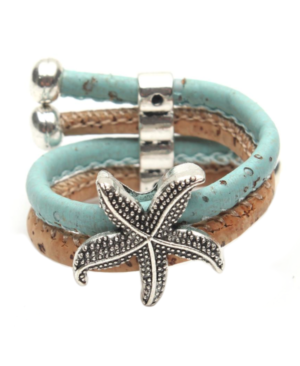 This Starfish Natural Cork Ring is the perfect accessory to express your individuality and style. The combination of turquoise and natural cork provides a striking contrast that is further enhanced by the fabulous seaside charm that sits at the centre of this unusual starfish ring. 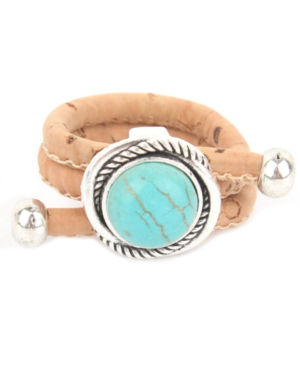 This Turquoise Vintage Style Cork Ring features a stunning turquoise stone that sits at the centre surrounded by rustic silver coloured detailing gives it a fabulous vintage look and feel to the design.